We never had to use puppy pads for our dog, Teddy. He was house trained from the moment his feet hit the floor. But now that Teddy is 12.5 years old, he can’t quite wait as long as he used to for a trip outdoors. Making it even harder is that he now has to wait for a busy elevator to make its way to us for the long trip down before he can get outside. We decided to make it easier for him and us by keeping some puppy pads on hand. Problem is those things are small and get easily wadded up while he’s twirling around to find just the perfect spot, meaning he would miss the pad entirely sometimes. I found the IRIS Pad Floor Tray, and it solved our problems. 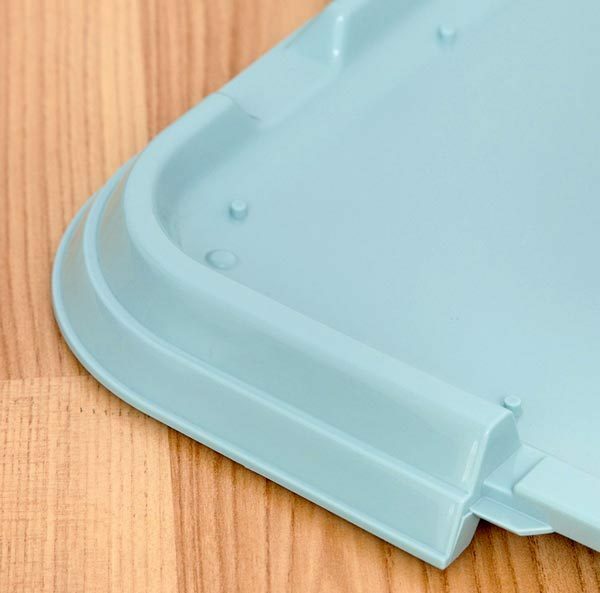 The Floor Tray consists of a plastic pan with non-skid rubber feet on the bottom to prevent leak through. It has a raised rim and plastic nubs around the edges of the pan. There’s a white plastic frame that fits over the raised rim and snaps on to hold the pad in place. 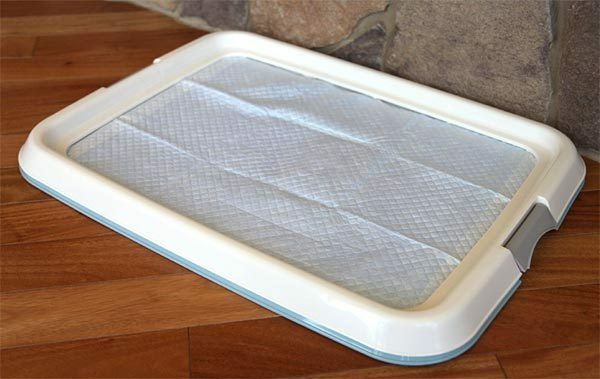 The tray measures 25.5″ x 18.9″ x 1.75″ and is designed to work with the regular-sized IRIS Neat ’n Dry pet training pads. The pads are held snugly by the floor tray, so Teddy can twirl to his heart’s content without wadding up the pad at all. The area is a little small for an adult dog, even a little 16-pounder like Teddy, so I bought a second tray. I just put them side-by-side, and he has plenty of room to walk around for all his business. The IRIS Neat ‘n’ Dry pet training pads are available to auto-ship from Amazon, so I don’t even have to remember to re-order them. 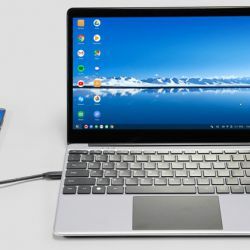 The IRIS Pad Floor Tray is $9.39 at Amazon. So many people just give up their dogs when they get older and incontinent. Thanks for taking care of your old man’s needs and giving him alternatives to being a “bad dog”! Teddy is my sweet little son. I’d never give up on him. 🙂 This product makes it easier on him because he would get upset trying to make it outside.